My name is Cameron McCartney. I am a 19-year-old freshman. My major is math education and I am minoring in sports journalism. I plan to teach high school mathematics somewhere in Indiana so I can still be close to my family. Also, I want to write sports for Notre Dame University. This is my second semester as a sports writer for The Preface. I am heavily involved in activities on campus. 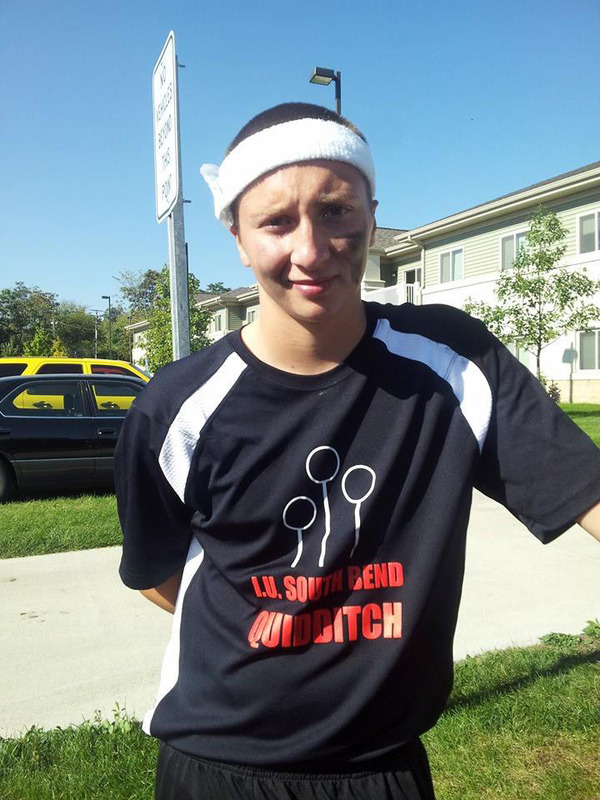 I am currently on the IUSB Quidditch Team. By the way, if you like to play football, soccer and a bit of rugby all combined, then come out to a Quidditch practice. We could always use more people. When I am not studying or at work, I am usually at the Student Activities Center playing basketball or working out. I like to listen to music mostly country. I also like to hang out with my friends and family and relax. I graduated in 2013 from NorthWood High School in Nappanee. In high school I played football and baseball, and at the Boys & Girls Club of Nappanee I played basketball, soccer, slow-pitch softball and ran track. I work at Burger King in Nappanee and have for two years now. When I’m not working I attend church at Nappanee First Church of God and I also play on a softball team for the church in the summer.